I like my ladies the way I like my cocktails: strong, cool, and complex. I’ve been trying to make this cocktail since 2007 when I first tried it at Alembic in the Haight-Ashbury neighborhood of San Francisco. Amelia and I used to frequent Alembic when it first opened, before there was a line out the door every night and you had to elbow-fight pretty hipsters to get a drink. Back then, we would meet after work, which for us was around midnight. I worked a plating shift at a schmancy restaurant where I juggled 8 different desserts every night, then scoured the kitchen from top to bottom, all for what basically amounted to minimum wage. Amelia worked odd hours as a counselor at a house for folks who had fallen on hard times. We would both emerge from work when most of the city was tucked into bed, both in need of a stiff drink. We’d belly up to the near-empty bar, chat with the bartenders about the relative merits of gin vs. whiskey, and snack on deviled duck eggs and the most delicious cocktails either of us had ever tasted. The Mediterranean Homesick Blues was my usual, a light and fizzy gin concoction kissed with cardamom, rose, and lemon, which I adapted here (and really deserves some better, non-smart-phone photos). One night, a lady bartender was serving us and I asked her for something similar but different. She shook me up a creation of her own, strained it into a coupe, and garnished it with a mint leaf. 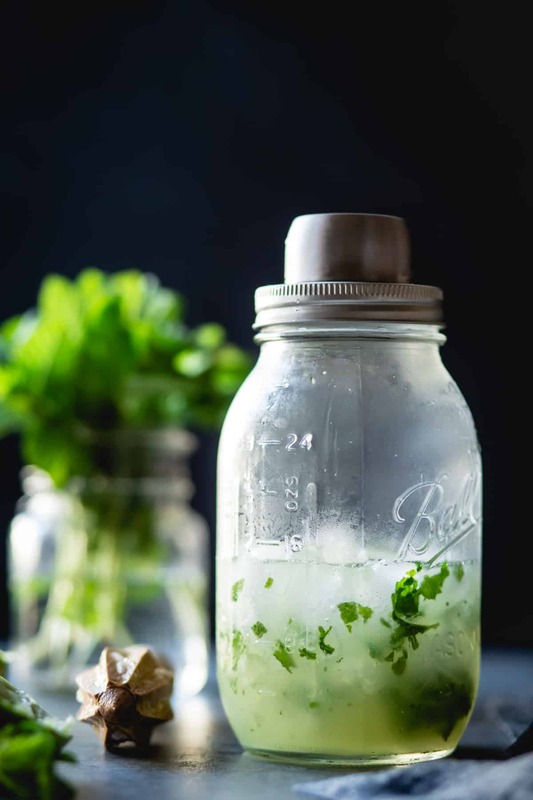 I took a sip: icy bits kissed my lips, fresh mint wafted cool and clean, and a bouquet of herbs and spices punched me in the kisser. It was the classiest cocktail I’d ever met. I asked the name of the drink, to which she replied, “Femme Fatale.” Fitting. Thinking I could simply look up the recipe online, I tumbled into a taxi and headed home. But the interwebs told a different story. There was no gin and chartreuse-based Femme Fatale to be found, only something sweet and fruity made with SoCo that was the antithesis of the drink I sought. But in San Francisco, space was at a premium, even back in 2007. I was loath to shell out 60 bucks for a giant bottle of a strong spirit that I wasn’t sure I could get through in the next 20 years and that would take up precious real estate in the liquor cabinet. So the coaster with the Femme Fatale recipe sat unused for years. Then last week, my friend Shelley told me about a cocktail she’d had at Smokestack, a local eatery that puts the “bar” in “bar-b-que” and is also under the same parent company as Alembic – Magnolia Brewing. Shelley’s favorite drink, the Islais Lady, is a gin-based cocktail shaken up with a bunch of herbaceous spirits and strained into a coupe. I took a sip of hers one night and BAM – memories of the Femme Fatale flooded my senses. I had to have it again. …it wasn’t as good as I remembered. 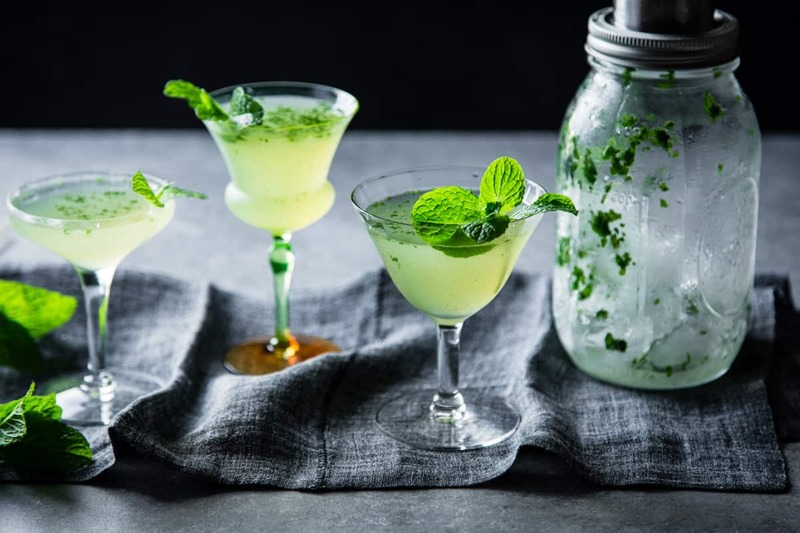 Too strong, too sweet, too much anise from the Chartreuse, and not enough mint. Tinkering was in order. 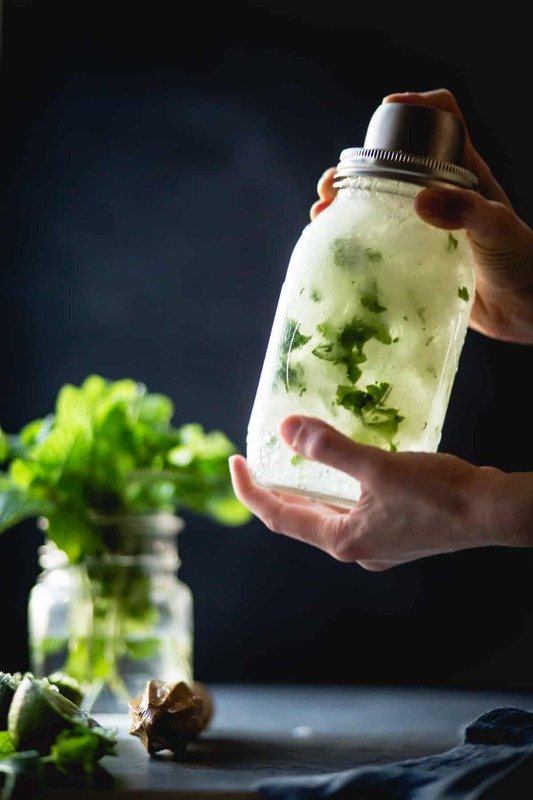 I took down the simple syrup and Chartreuse and threw in a handful of fresh mint leaves, which broke into tiny shards in the shaker. 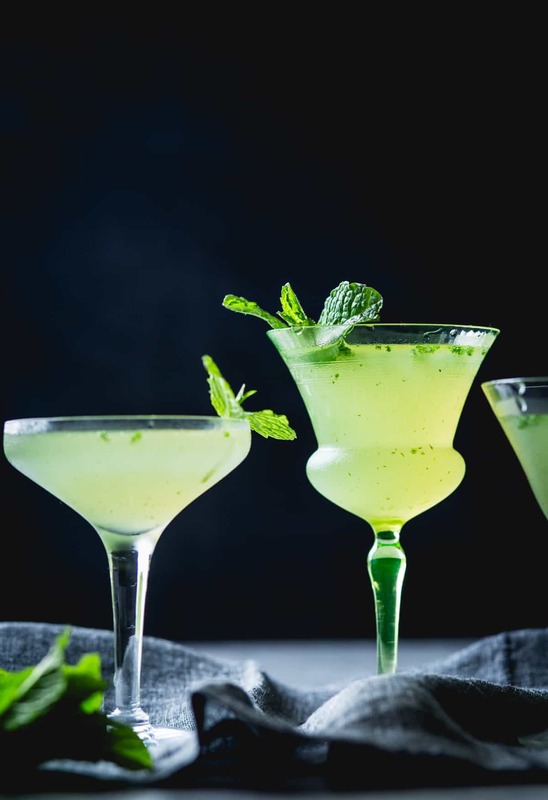 This time it was perfect: ice cold but with warming flavors from spicy chartreuse, refreshingly minty, with a complex one-two punch from the gin, and enough acidity from lime juice to balance the sweet liqueur. I dubbed it The Verdant Lady, cousin to the Femme Fatale, soft and delicate like Smokestack’s Islais Lady. 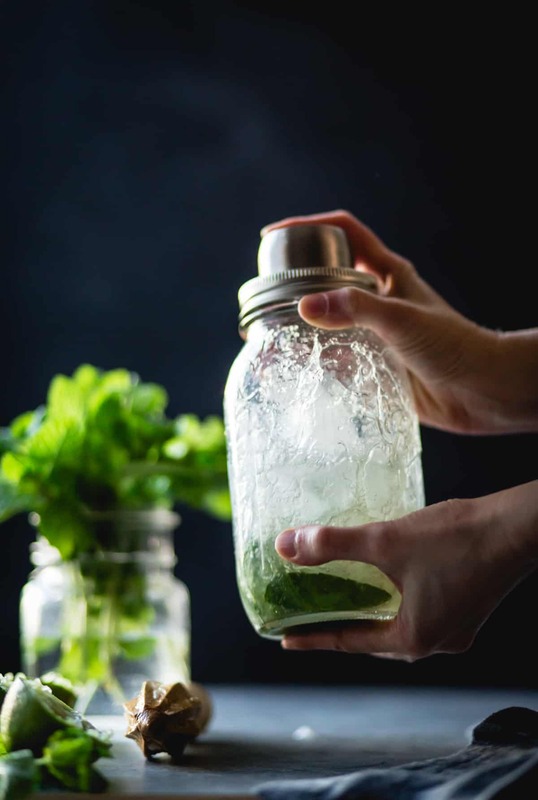 The Verdant Lady works well in any weather, hot or cold; though if you’re after something more light and refreshing, simply stir the drink with ice, then strain into ice-filled tumblers and top with fizzy water for something akin to a delicate gin and tonic. 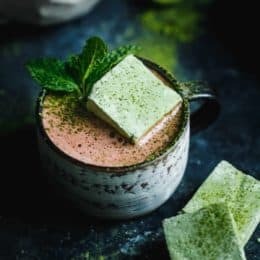 Now that I’ve got me a bottle of chartreuse, I’m dying to finally try it in ice cream, truffles, and Verte Chaude: chartreuse hot chocolate, popular with the French après-ski crowd. I nibbled a piece of chocolate today with my Verdant Lady and the combination was surprisingly spot-on. And I’m also looking forward to trying the Last Word Cocktail, another ginny Chartreuse number with Luxardo in the mix. Because a lady always needs to have the last word. Thanks for reading! If you make this, I’d love to see. Take a photo and tag me on Instagram @The_Bojon_Gourmet and #BojonGourmet. And thanks to the folks at W&P Design for gifting me the lovely mason jar cocktail shaker pictured here. Speaking of spicy green things, I’m excited to announce the winners of the #EatGreen2016 Spice Society contest (detailed here). It was painful to pick. We loved all of your photos so much and wanted to eat each and every one. Many thanks to all who entered! 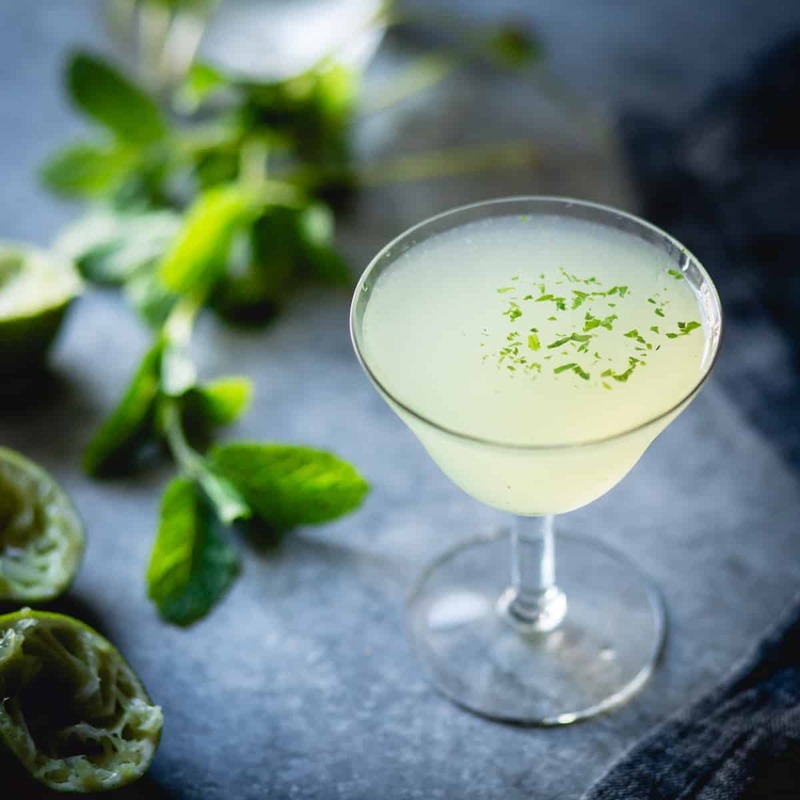 A strong yet refreshing cocktail shaken with gin, green Chartreuse, and lime and served up. 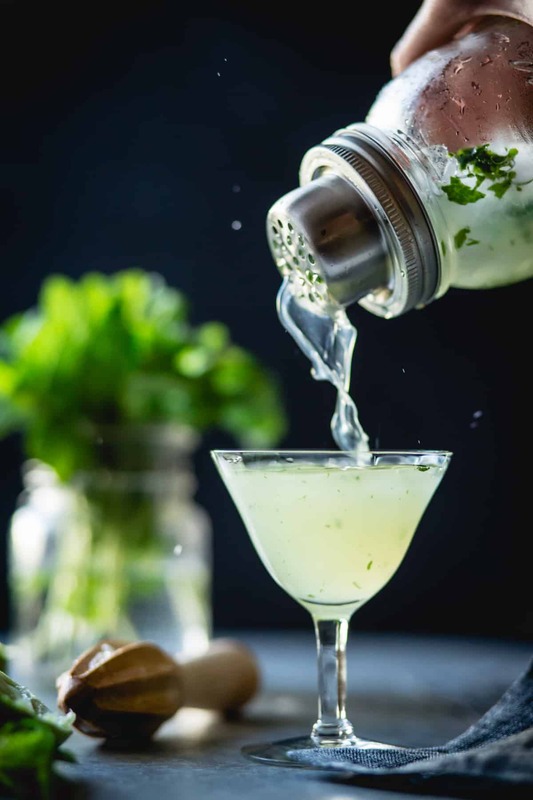 A teaspoon of Chartreuse may not seem like enough, but a little goes a long way. 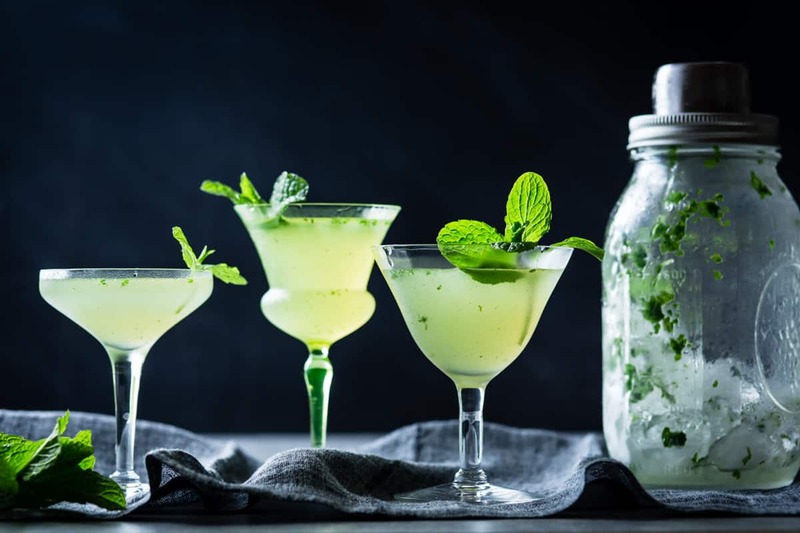 For a lighter cocktail, stir the drink with the ice, strain into an ice-filled tumbler, and top with fizzy water. I like Hendrick's gin here, but any decent, relatively mild gin that you like the taste of will do the trick. 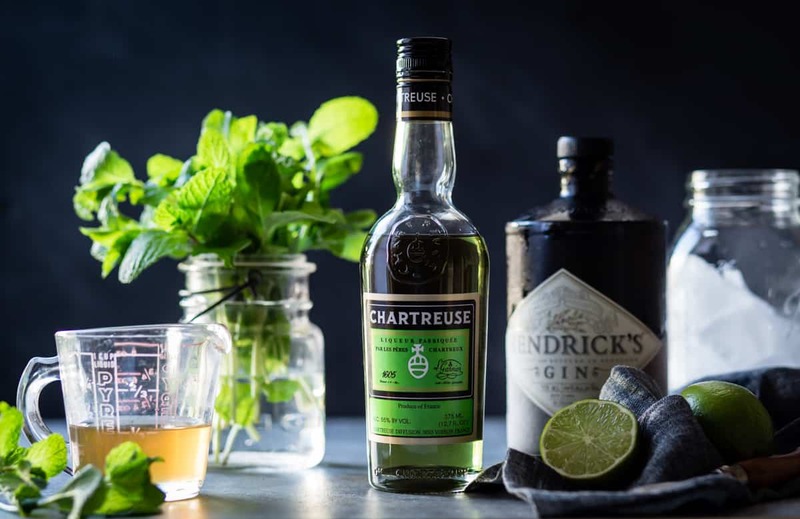 Chartreuse can be found at specialty liquor stores or ordered online. 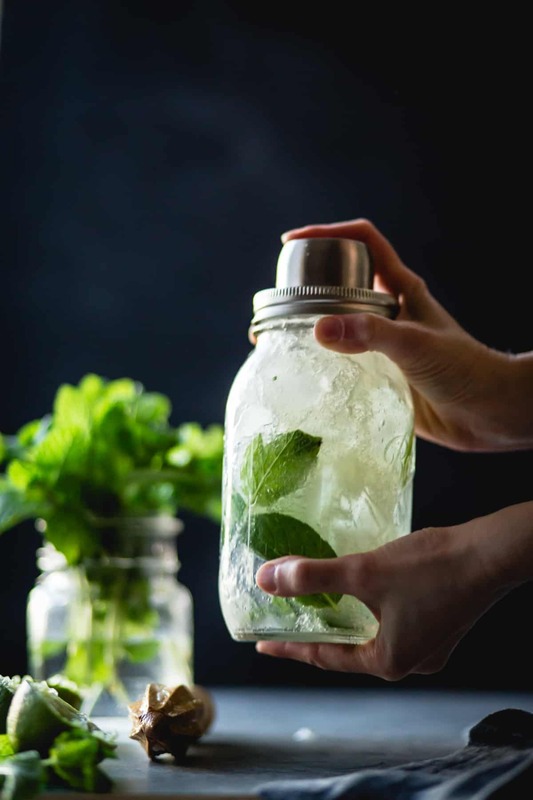 Mason jar cocktail shakers are available here. 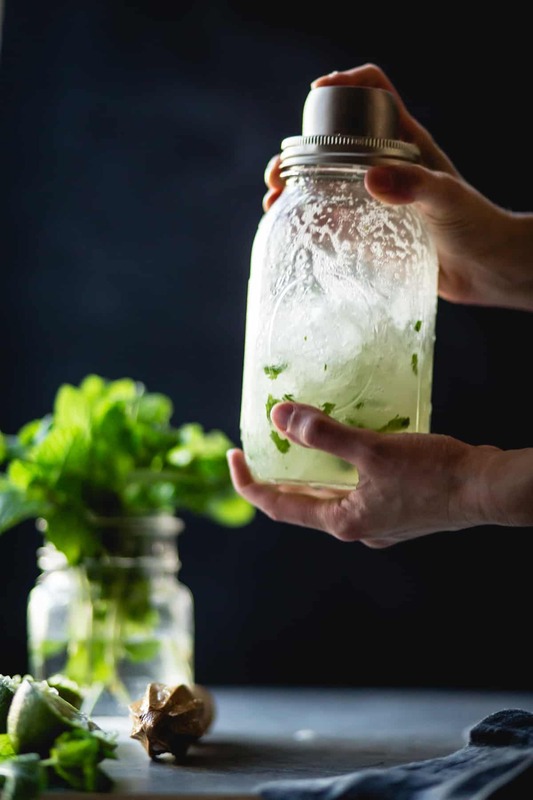 In a cocktail shaker filled halfway with ice, combine the gin, lime juice, simple syrup, chartreuse, and mint leaves. Shake vigorously for 30 seconds, then strain into a coupe. 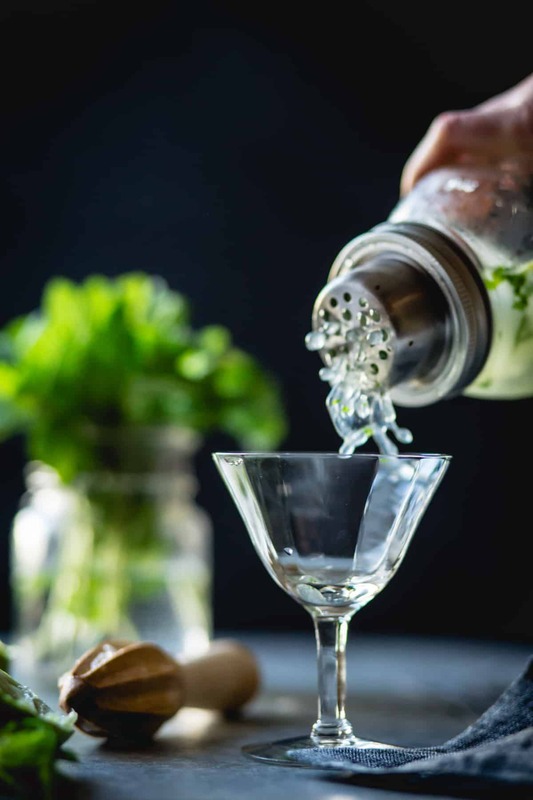 Garnish with a mint sprig if you like, and serve. This is such an awesome cocktail recipe and so beautifully photographed! This looks fantastic! I love Hendrick’s it is my favourite gin. Those glasses and the shaker, you’ve styled this beautifully! Awww! Your photo stunned me and Lisa of Spice Society, who pooled our favorites. I’m SO glad you like the spices – thanks for participating, Traci! I hope we can enjoy a cocktail together soon soon soon! OMG Alanna! This looks so stinking amazing!! Looks like I’ll be purchasing some Chartreuse this weekend….and some Luxardo!!!! This cocktail looks so good! Your photos are gorgeous! I am so intrigued about Green Chartreuse now. Need to get my hands on a bottle! I’m such a sucker for a gin cocktail. This one is gorgeous. xo. This looks so cool and refreshing, what a gorgeous cocktail! Oh my gosh, this cocktail is SO pretty! Almost too pretty to drink. But, it’s Friday. So I will obviously be drinking 6 of these. Pinned! That’s some serious commitment, lady! A MUCH classier drink than anything else you can order up for St. Patty’s day. And the most beautiful of photos – love the mismatched glassware! Sign me up for anything ginny!!! Beautiful! Ha – I like my drinks the same way!! This drink though?! I have all the ingredients. It’s happening tomorrow at 5 o’ clock! Gorgeous!! And I love the varied glassware. Beautiful post Alanna! You’re stirring up coupe envy in me all over again! As always…stunning photos! This drink sounds complex and wonderful! This sounds like such a refreshing cocktail! Plus the color is so pretty! Even though I am not a gin lover (except for the Hangar 1 Terroir) I wanted so bad to try one of these at Alembic! Sadly, they hadn’t heard of it (but this is years later). Thanks for introducing me to such delicious things! It looks delicious, but I don’t like anise so much. 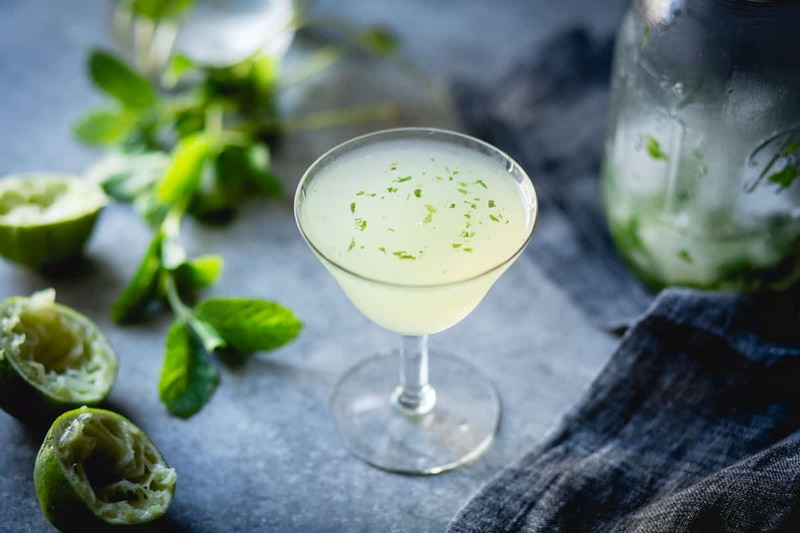 Is the taste of anise obvious in this cocktail? 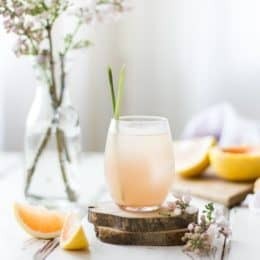 My boyfriend and I had this as our cooking cocktail(aka the cocktail we drink while we cook dinner) and it was so delicious and refreshing! I am a huge mint fan and the chartreuse really added some complexity without overwhelming as it has a tendency to do. We did up the chartreuse to .25 just to make it easier to measure. One word of caution: it is small but mighty drink! It hit me a bit hard (though I fully admit my tolerance is a bit low). Haha, cooking cocktail – love it! I’m so glad you liked the drink if not the effects – I’m a lightweight, too, and I feel your pain. It was lovely. The mint and lime juice made it very fresh!!! Caught this recipe on Pinterest – of all places. Picked up a fresh bottle of Chartreuse just to try it. I sounds similar to a cocktail invented by the bartender at One Flew South – an excellent bar at, believe it or not, the Atlanta airport. She calls it ‘Treuse or Dare, but it’s more or less a White Lady with some Chartreuse: Gin, lemon, sugar, egg yolk, dash of Chartreuse. 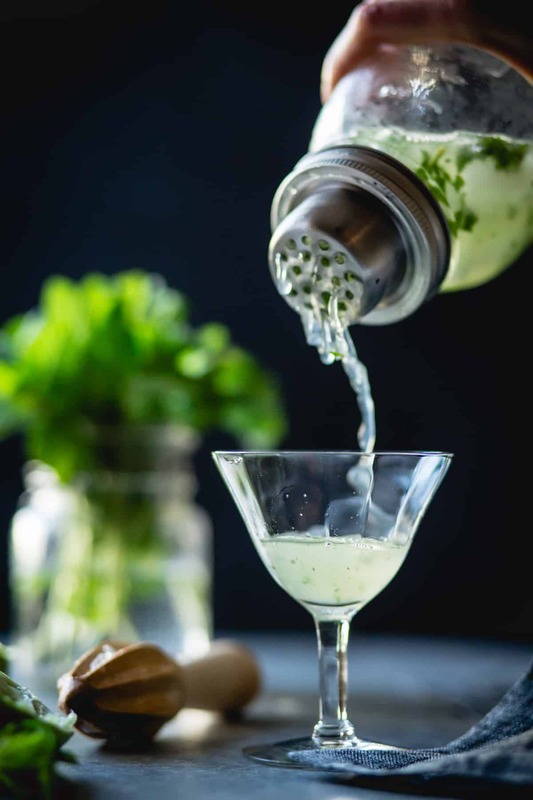 The egg white gives it a delicious mouth feel, and the gin and Chartreuse combo is so haunting (as you know!). Hahaha, Treuse or Dare! That sounds delicious and yes, very similar! Have to try this! I have chocolate mint in the garden, which I can only imagine may be just perfect. 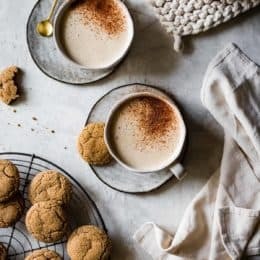 The recipe sounds and looks beautiful. Chocolate mint sounds amazing here! I also have a recipe on TBG for ice cream that uses fresh chocolate mint – highly recommended! As I amazingly had all of the ingredients at home(never happens), I made it last night. It was heavenly! 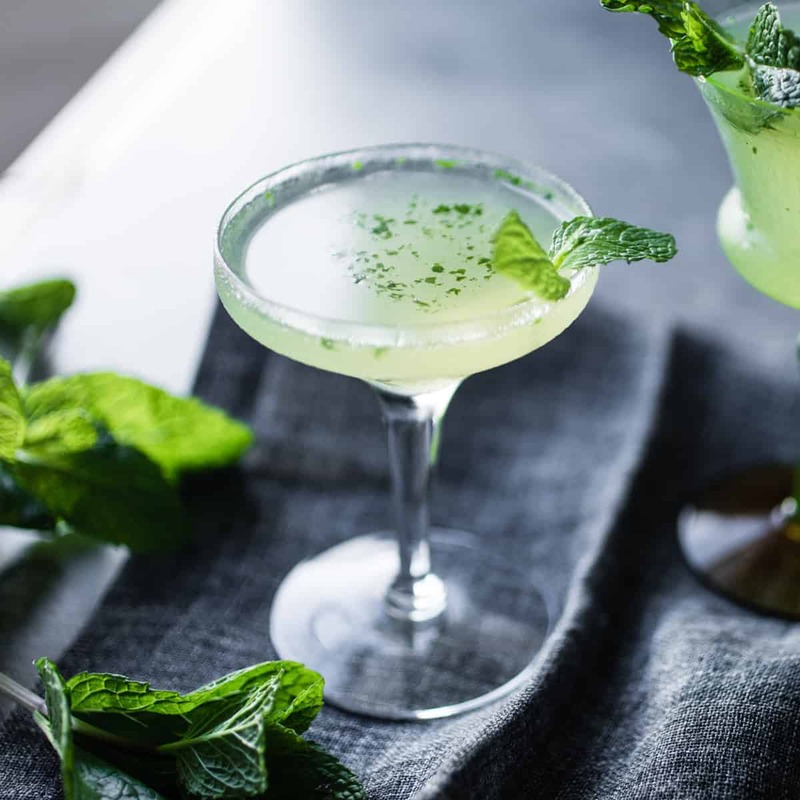 The chocolate mint gave a nice depth to the flavor in this otherwise requisite and elegant cocktail. So delicious! Next, I must try your ice cream recipe. Thanks a bunch! Wonderful combination of ingredients. It look so yummy! Alanna, it looks so yummy! I love the step-by-step instructions, making it an easy recipe to follow!